Well, not all humans as I have now learned are influenced by chocolate. Although there are a great many of us that truly appreciate the finest things in life. 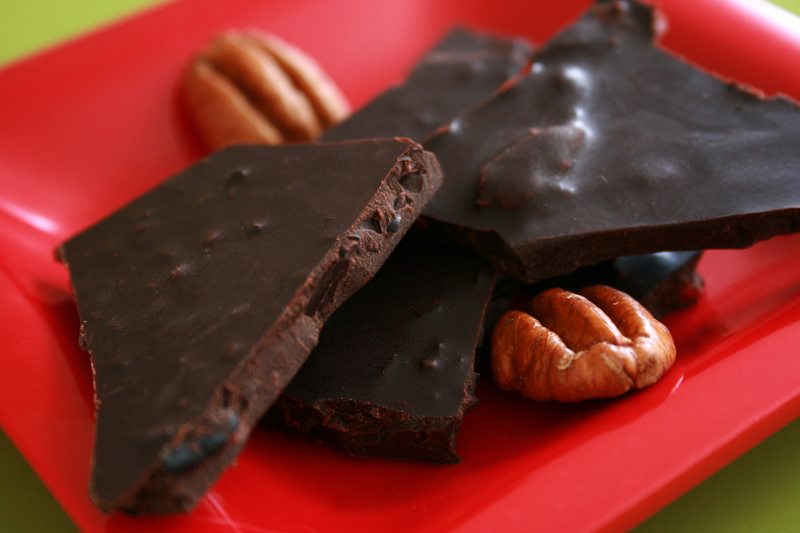 Chocolate, is One of them deserving of full appreciation! Theobroma Cacao – “food of the god’s” not only has enjoyed being both a ritual beverage and a major currency system in pre-Columbian Mesoamerican civilizations. 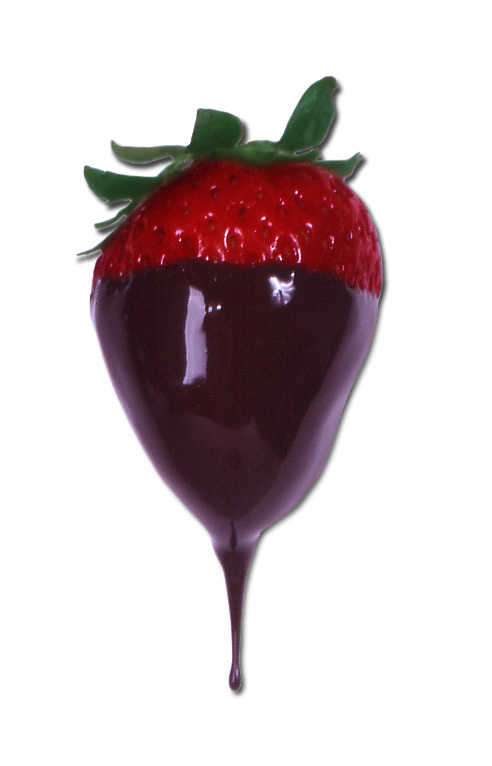 Chocolate is currently revered by many for it’s complex diversity of unique flavors. Not everyone calls a “Baby Ruth” “Chocolate”. A candy bar is a candy bar. Chocolate, however is in a class all it’s own! Angel Chocolate’s feature the Best of the Best, un-toasted Dominican & Peruvian Raw cacao powder ground in Belgium. Our delightfully stimulating blend of Cacao powder is delicately combined with the aromatic, healthful and satiating Cacao Butter, Truly raw agave, , Coconut Secret sugar crystals, Local Honey and/or Stevia. Tahitian Vanilla rocks the beans with mineral rich ancient sea salts. Custom creations made just for you are specifically designed with you in mind, Just for you or your special events, corporate gifts, menu items & more! Our imaginations thrive creating fantastic fantasies from fountains of flowing molten chocolate to seasonal fruits dipped and crunchy sprouted Organic local Almonds, chewy caramels, Maple nougat, coconut mountains, crisp to the snap and soothing on the melt- down… shining with elegance in every bite! Enjoy by devouring or savoring our finished masterpieces, almost too beautiful to eat. 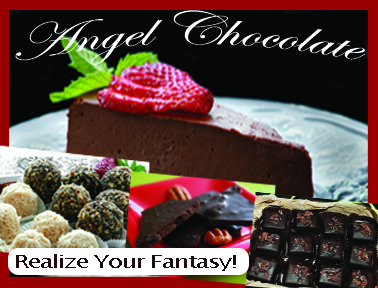 How fitting to celebrate The Art of Chocolate, Feasting on the Fantastic Fantasies at the Paradise Chocolate Fest! Check us out in Paradise! Yes! it even works as body paint! This entry was posted in Events, Posted, Press This, Promotions, Uncategorized and tagged cacao butter, Dark Chocolate, food, mesoamerican civilizations, raw cacao powder, restaurants, tahitian vanilla. Bookmark the permalink. Reblogged this on Detox with Dessert.